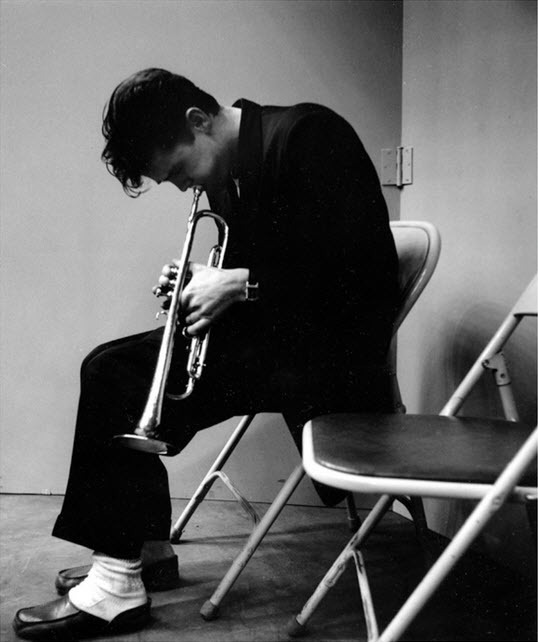 Chet Baker was a primary exponent of the West Coast school of cool jazz in the early and mid-’50s. As a trumpeter, he had a generally restrained, intimate playing style and he attracted attention beyond jazz for his photogenic looks and singing. But his career was marred by drug addiction. 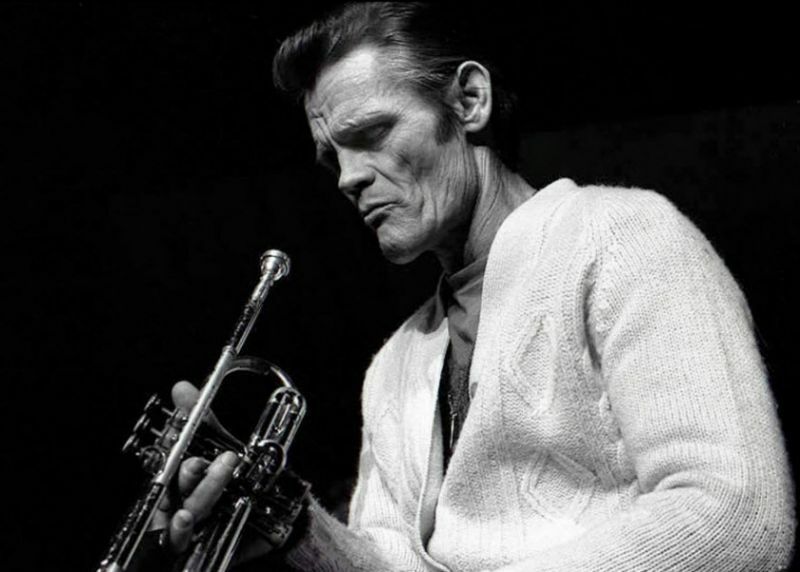 Chesney Henry “Chet” Baker, Jr. (December 23, 1929 – May 13, 1988) was an American jazz trumpeter, flugelhornist and singer. 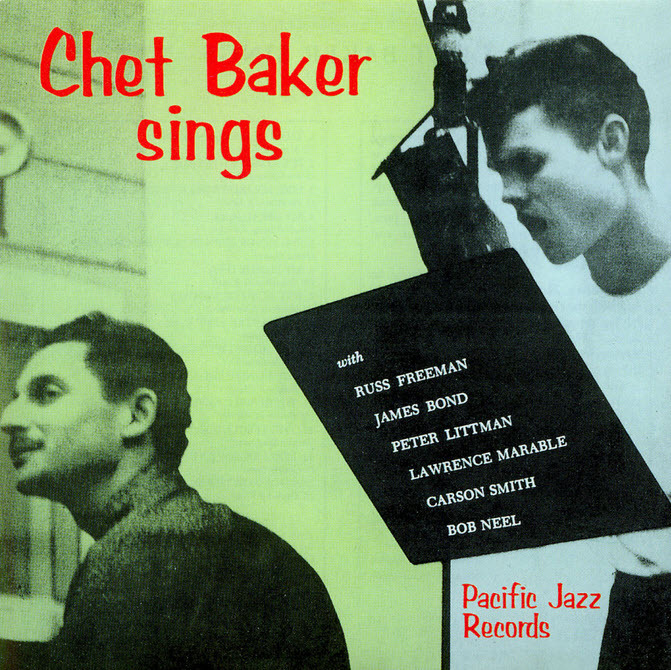 In the 1950s, Baker earned much attention and critical praise, particularly for albums featuring his vocals, such as Chet Baker Sings. Jazz historian David Gelly described the promise of Baker’s early career as seemingly representing “James Dean, Sinatra, and Bix, rolled into one.” However, his “well-publicized drug habit” also drove his notoriety and fame, as Baker was in and out of jail for much of his life, before enjoying a career resurgence in the late 1970s and ’80s. In 1987 he was inducted into the Big Band and Jazz Hall of Fame. In 1989 he was elected to Down Beat Jazz Hall of Fame by that magazine’s Critics Poll. 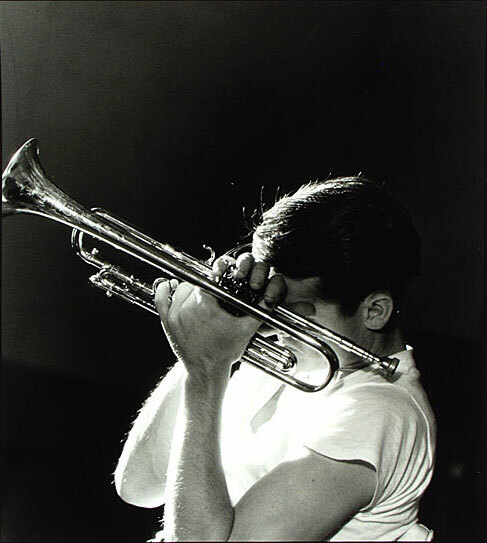 In 2005 Oklahoma Governor Brad Henry and the Oklahoma House of Representatives proclaimed July 2 as “Chet Baker Day”. As Gerald Heard’s liner notes point out, it’s difficult to decide whether Chet Baker was a trumpet player who sang or a singer who played trumpet. When the 24-year-old California-based trumpeter started his vocal career in 1954, his singing was revolutionary; as delicate and clear as his trumpet playing, with a similarly bright and vibrato-free tone, Baker simply didn’t sound like any previous jazz singer. 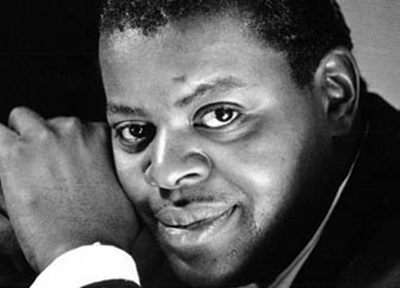 Oscar Emmanuel Peterson (August 15, 1925 – December 23, 2007) was a Canadian jazzpianist and composer. He was called the “Maharaja of the keyboard” by Duke Ellington, “O.P.” by his friends. He released over 200 recordings, won seven Grammy Awards, and received other numerous awards and honours over the course of his career. He is considered to have been one of the greatest jazz pianists of all time, having played thousands of live concerts to audiences worldwide in a career lasting more than 60 years. 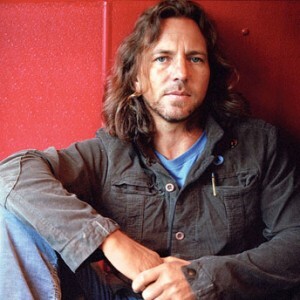 Eddie Vedder (born Edward Louis Severson III; December 23, 1964) is an American musician and singer-songwriter who is best known for being the lead singer and one of three guitarists of the alternative rock band Pearl Jam. He is widely considered an icon of alternative rock.